League leaders Straide and Foxford United will look to keep their place at the top of the Super League this weekend when they make the trip to Glenhest Rovers. 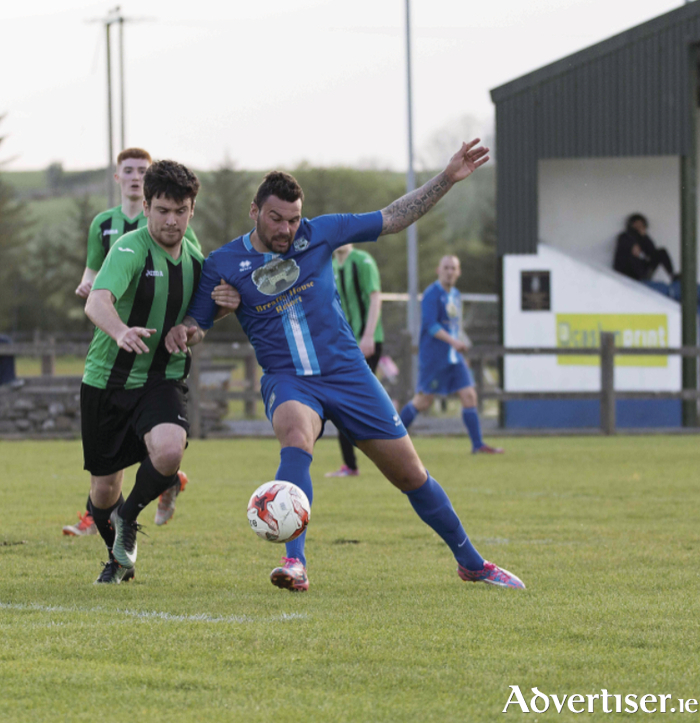 Last weekend, the men from Green Road had a 3-1 win against fellow newly promoted side Achill Rovers at home. United hit their visitors hard in the first half and went in leading 3-0 at the break thanks to goals from Kevin Langdon, Conor Sherry and John Durkan. A Kevin McGinty goal in the second half cut the gap back to two, but the home side were able to hold on for their fourth win of the season. Their opponents this weekend were routed by a free scoring Castlebar Celtic side who saw them off 7-2 in Celtic Park. The Hoops have been in flying form of late and have hit the back of the net 27 times in their five games to date. Their goal scorers last weekend were Gary Concannon, Jason Hunt, and Stevie Ryan in the first half, which they went in leading 3-1. In the second half, Hunt struck again along with goals from Colm Nevin, Anthony Johnson, and Conor Griffin. This weekend they will look to keep pace with the league leaders and take advantage of any potential slip ups from either Straide and Foxford United or Manulla when they take on Claremorris on the road. The Concannon Park outfit head into this game on the back of a 2-1 over Ballyglass away from home last weekend, their second win from their five games so far this season thanks to a first half goal from Derek Glynn and a second half strike by Dean Roddy. Ballyglass' goal came from Keelan McDonnell to cancel out Glynn's strike, but they were not able to find a second goal to pull a point from the game. Ballyglass this weekend, will welcome Ballina Town to Keaveney Park on Saturday, the north Mayo men were beaten 2-0 last weekend by the defending champions Westport United on the road. Jack Murphy and Adam Mulchrone were the goal scorers for the champions. That result was the fourth loss of the season so far for Ballina Town, while it kept United well in the hunt at the top of the table leaving them in fourth place, just three points off the top two sides and with a game in hand. This weekend United will travel to Ballyheane and will be fully expecting to go home from Quigley Park with the points, last weekend Ballyheane were seen off 3-1 by Manulla in Carramore where they came from one behind early on to run out two goal winners. The Manulla goals came from a brace by Anthony Elding and one from the evergreen Dessie Campbell. This weekend Manulla will hit the road west to the islands where they will take on an Achill Rovers side who are searching for their second win of the season.